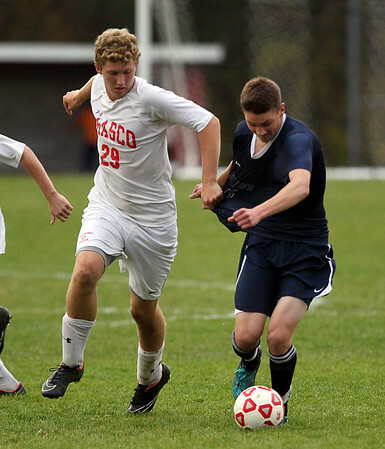 Masco junior Alex Spaulding (29) tries to hold off St. John's Prep senior Patrick Foley (15) on Wednesday afternoon. DAVID LE/Staff photo. 10/29/14.